Genetica users may supplement their texture collections by downloading the following texture packs. First time users are invited to begin by downloading the free Genetica Viewer, which comes bundled with these packs already. 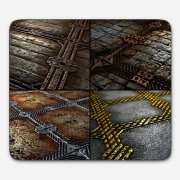 127 high quality seamless textures designed for floors and walls of all types. 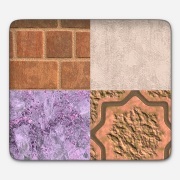 Includes bricks, stones, wallpaper, marbles, tiles, fantasy surfaces, and more! 150 stunning metal and stone materials, all perfectly seamless. 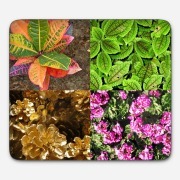 Includes gold, aluminum, copper, brass, rust, sandstone, granite, slate, and more! 167 scintillating seamless textures. Add sparkle to your scenes with crystals, jewels, fluids, semiprecious stones, snow, ice, and more! 154 spectacular terrains. From wintry peaks to the molten depths below and everything in between, this pack will be a world builder's dream-come-true! 106 dramatic medieval textures. 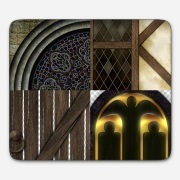 Bring fantasy and historic scenes to life with cottages, churches, fortresses, towers, doors, windows, and more! 136 photorealistic path and plant textures. Includes walkways, stone paths, grass, bushes, trees, fallen leaves, flowers, and more! 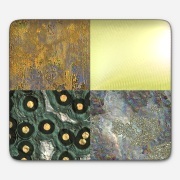 Four great sets of interlocking frame textures. For a full description of this pack, go here. If you are already set up with either Genetica or Genetica Viewer, please follow these steps to incorporate your newly-downloaded texture packs into your existing texture collection. If you are not yet set up with either of these applications, it is recommended that you begin by downloading and installing the free Genetica Viewer, which already has the above packs included. 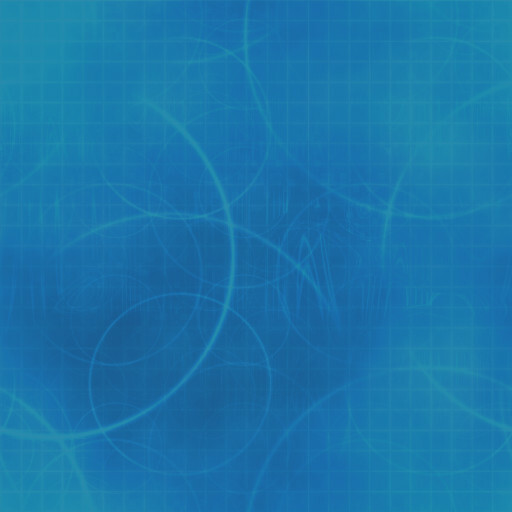 Genetica Texture Packs are distributed in compressed archive form. After downloading the desired pack, locate the file on your computer, right-click it, and select the "extract" option from the popup menu. In the following illustration the menu item is called "Extract All..." but the actual wording will vary between computers. At this point you could open the newly extracted textures individually by clicking File > Open in the main menu of either Genetica or Genetica Viewer. 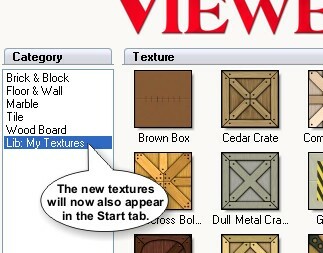 However, it's more convenient to add these textures directly to the texture browser in the programs' Start tab. 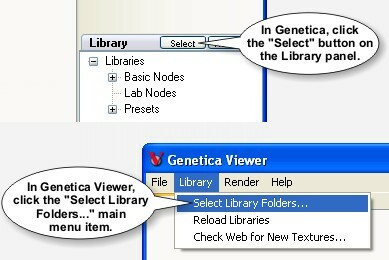 To do this, click the Select button appearing over the Library panel if you're using Genetica, or click Library > Select Library Folders in the main menu if you're using Genetica Viewer. A window will pop up with five slots for custom library folders. Click the Select button appearing to the right of one of these slots, then in the window that pops up navigate to the folder containing the new textures, and click OK. Close the Select Library Folders dialog. 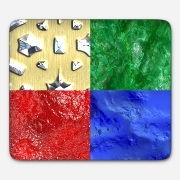 The new textures will now be fully integrated into the application's interface for easy access.